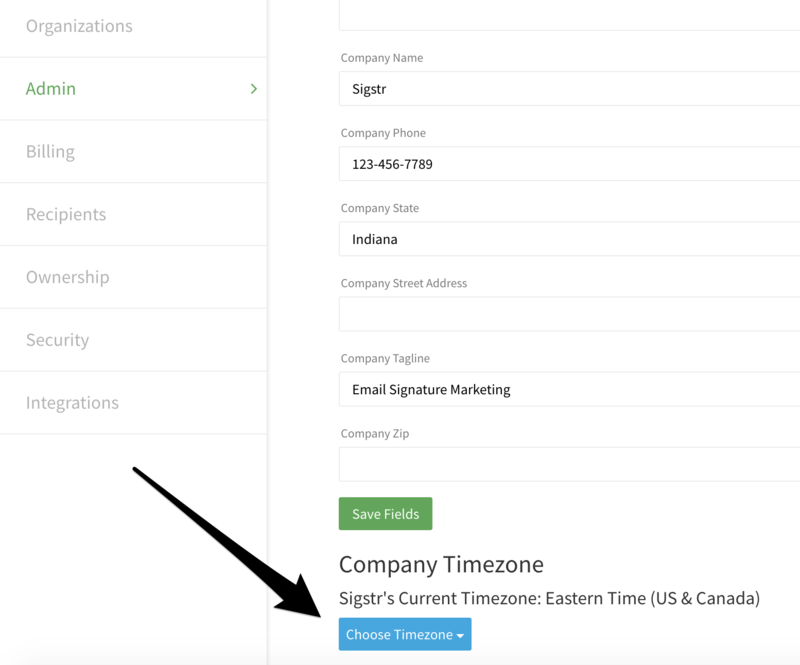 Sigstr gives customers the ability to set start and stop dates for time sensitive campaigns. The functionality is useful when implementing a long term campaign strategy or for Sigstr admins who are looking for a hands off approach. The campaign scheduling feature is accessible when creating or modifying a campaign. 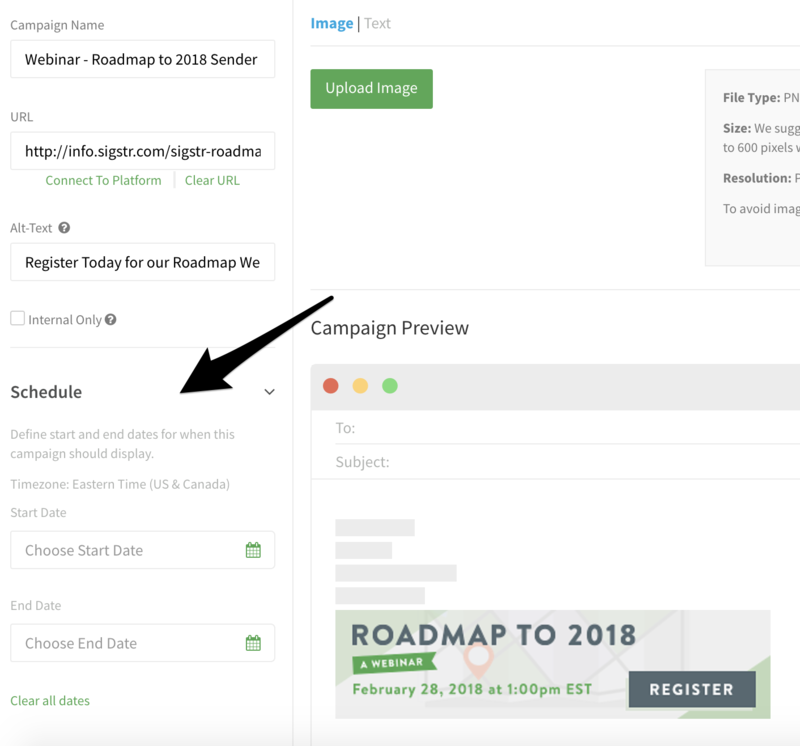 Sigstr admins can utilize campaign scheduling functionality with all campaign types – Sender Based, ABM, and Internal. 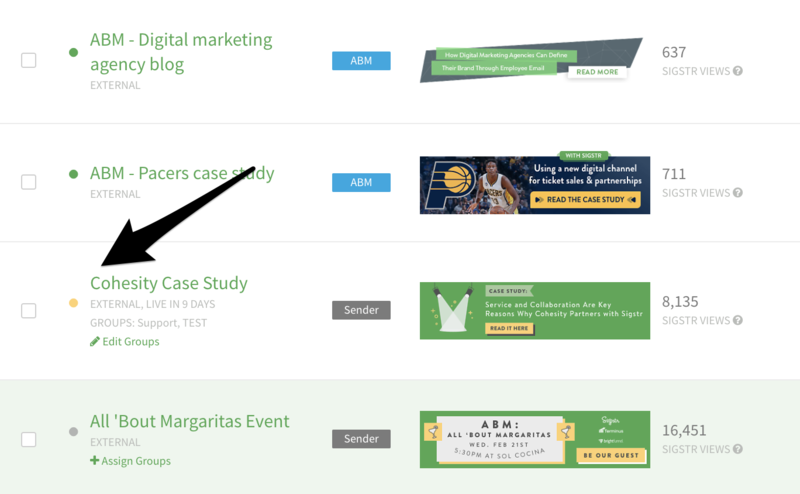 Scheduled campaigns with a start date set in the future will have a yellow activity status. Please note that a scheduled campaign will always take precedence over an unscheduled campaign, even if the unscheduled campaign is created at a later date. Sigstr’s default time zone is set to Eastern Standard Time. You can adjust the timezone via the Admin tab in Sigstr Settings. To gain confidence in which campaign banners will be served at any given time, leverage Sigstr Verify.